It seems ironic that in order to create more three-day weekends on the federal calendar that Abe Lincoln and George Washington’s birthdays have moved from their actual dates of February 12 and 22 to today –the third Monday in February. As a former government employee, I looked forward to this Monday off especially in such a dreary, wintry month. However, it reminds me of the changes they made to the old Cambridge burying ground—all the tombstones were put in a more linear pattern so that mowing the lawn could be accomplished with ease. Yes, it is easier to mow and to walk through the cemetery but I always wonder—did they move the coffins, too? When they “moved” Lincoln’s and Washington’s birthdays, celebrating both on the third Monday, the result was to separate the individual Presidents from the day and effectively celebrate neither. The new holiday has stretched to a weekend filled with sales, sales and more sales. 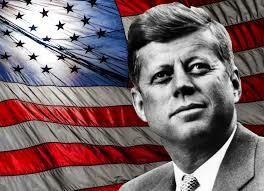 Today is Presidents Day and we celebrate not only past presidents but also the office of the President. Being president is an honor and a burden; it is a life altering experience held only by forty four Americans. We have high hopes and (until recently) trust that the President will take action to make the country and our future more secure. We celebrate and have gratitude for the quality of life our Presidents envisioned, advocated and fought for that determines the quality of the life we now live. .–And the most precious and powerful right in the world, the right to vote in a free American election, must not be denied to any citizen on grounds of his race or color. I wish that all qualified Americans permitted to vote were willing to vote, but surely in this centennial year of Emancipation all those who are willing to vote should always be permitted. Today is a good day to pause in our busy lives to remember all the men (so far, just men!) who have carried this awesome responsibility, who do so now, and who will in the years to come. What President do you most admire? Why? How do you describe their leadership style? Values? Ethics? How did they inspire our country?